White Christmas. 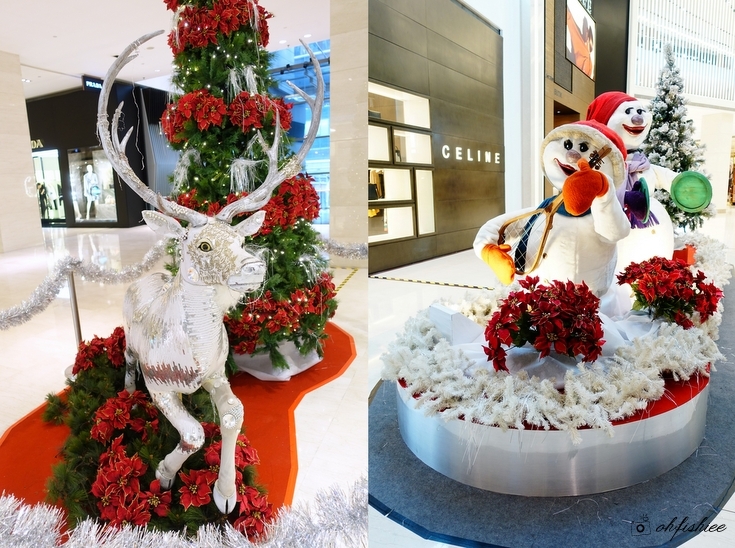 Pavilion KL has never failed to amaze us with beautiful Christmas decors each year. And this year, it welcomes us to its biggest and brightest celebration – Christmas Sparkles. The main highlight this year is definitely the Swarovski’s 23 meter tall Christmas tree that was inspired by the brand’s Christmas Collection with Miranda Kerr. Made of crystal strands, the tree sparkles and shines with more than 3,100 crystal strands, which amounts to a staggering total of 174,853 pieces of individual crystals. A flash mob performance to the song ‘Happy’ by Pharrell Williams surprised the crowd during the launch. Valued at approximately RM3 million, it is the very first Swarovski Christmas tree in Malaysia and also the tallest Swarovski Christmas tree in Asia, as awarded for Malaysia Book of Records. 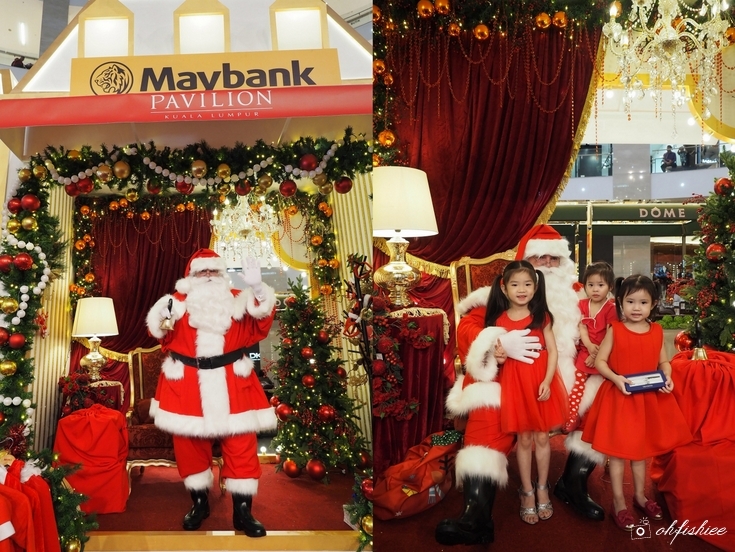 Santa Claus was in town and made a special appearance at the launch of Christmas Sparkles. Children were treated with enjoyable ‘choo choo’ rides on the sparkling Pavilion Express train, a partnership with Maybank. 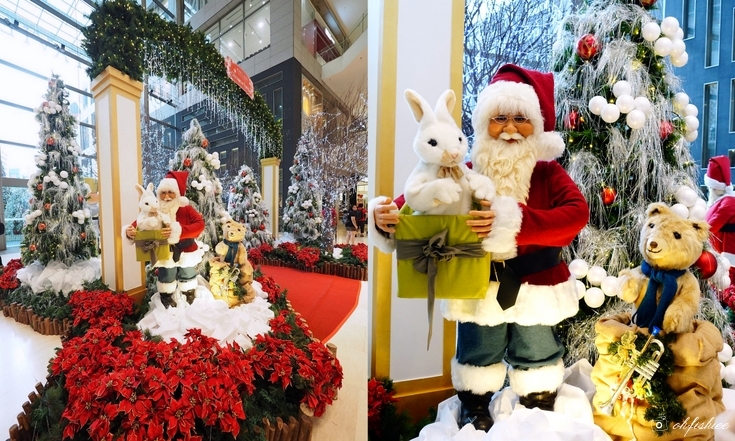 The entire mall is beautifully adorned with sculptures of reindeers, snowmen and more! But another eye-catching spot that attracts many cameras is of course the main entrance of the mall, with Santa Claus animatronics and plenty of "snowing" Christmas tree surrounding it. I'm all excited for this upcoming festive season! In the evening, I am totally amazed by the beautiful trees that sparkle to life. Just come and enjoy a Christmas that fosters sparkling memories of joy and hope, like you've never experienced before! Christmas theme as it comes alive with pristine white snowflakes and ribbons of glamorous red. The moment I took this picture, it felt as if I have been transported to London city! More activities and performances are coming our way during this celebration period. 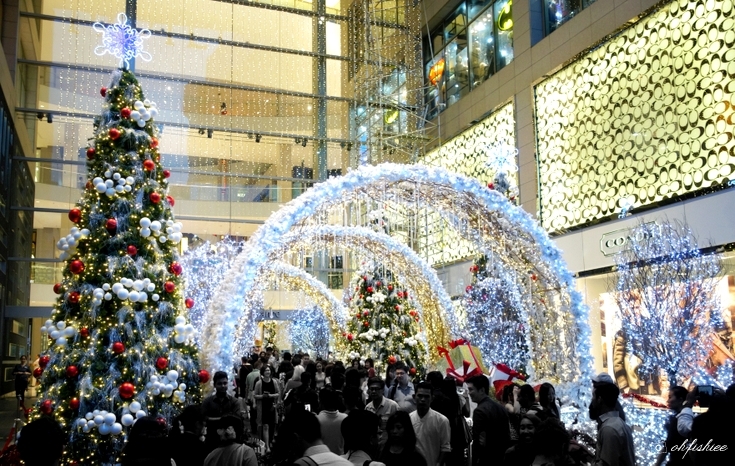 This includes the Sparkling Pavilion Express train rides, the very thoughtful ‘Dear Santa’ mailbox where shoppers can mail a postcard to Santa himself, and the most sparkling treat of it all – magical snowfall at the Bukit Bintang entrance. Make your shopping more delightful this Christmas by bringing home a Swarovski Crystal Pen when you charge RM1,000 to your Maybank Charge/Credit Card. For a complete list of rewards, please visit www.pavilion-kl.com. Don't forget to spread the festive joy by sharing your photos with #SparkleWithJoy. The Xmas tree is so beautiful! Dear, you look great with the red dress. Two thumbs up! This is beautiful and probably the best deco for Xmas in Malaysia. Will drop by for more pictures! OMG! So pretty and babe your photos are amazing! I went to Pavillion that day and they were still setting up the huge Swarovski tree but managed to take some photos outside! Daytime lighting looks so good! That tree is RM 3M? Wow! Haha. Should pay pavilion a visit since it's pretty neat to where I work :) by the way, looking great in the red dress! Wow wow! This place is so beautiful!~ Love it! Pavilion was so beautiful with the decorations. My Little Angels sure will enjoy the Choo Choo Train. Going there soon. Oh my gosh they are so beautiful! Pavillion always aims big designs. I need to go and see them for myself. So pretty! Pavillion is our must visit shopping mall during Christmas as they have the most wonderful decorations! This round Pavilion has nice decoration. It really wow the people that shop , dine or hand at Pavilion. beautiful shots, of beautiful decorations. Pavilion has always been the benchmark for mall decorations. They really put a lot of thought, and $$$ into making sure theirs stand out and is the best! meriah sungguh dgn gaun blous merah. utk celebrate chrismas akan dtg.. I love Pavillion's christmas theme this year, it's so pretty!! Awesome! Many tourists sure love a big Christmas in Pavilion! Good job, Pavilion! I always like to see how deco can be beautiful by Pavilion, compare to other shopping mall. Pavi really outdid themselves on the Christmas decor this year. Everything looks so festive!